We believe that every great meal is born of a story—a tale that guides the lively give-and-take between lovely food, outstanding drink, delightful hospitality, and the people who come together to relish it all. 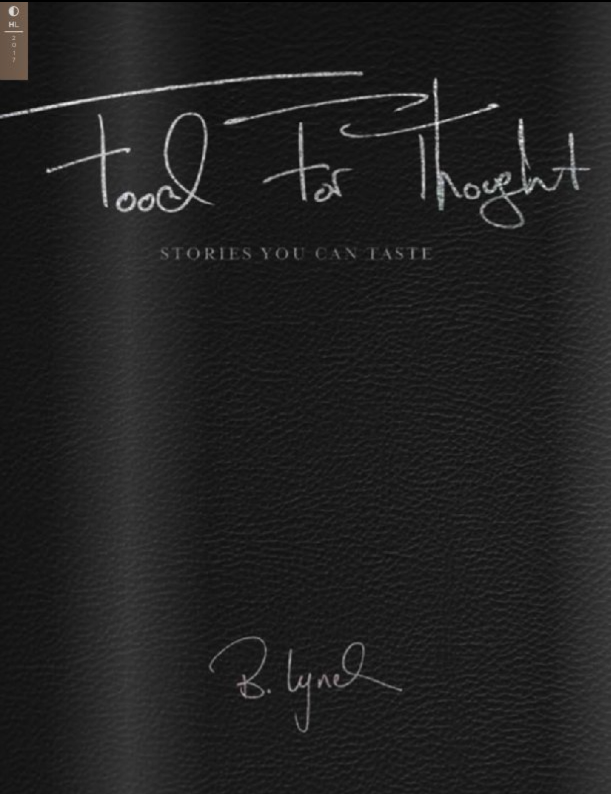 The approach to culinary composition is inspired and guided by the foundational narrative of Chef Barbara Lynch. Hard work, unbridled creativity, a passion for discovery, and a love for genuine human connections drive all that we do. James Beard Award–winner and Relais & Châteaux Grand Chef Barbara Lynch is regarded as one of the world’s leading chefs and restaurateurs. While growing up in South Boston, Barbara, at the age of 13, got her first kitchen job cooking at a local rectory. It was in high school, however, that an influential home economics teacher and a job working with Chef Mario Bonello at Boston’s esteemed St. Botolph Club piqued her interest in one day becoming a professional chef. During her early twenties, Barbara worked under some of Boston’s greatest culinary talents. After working with Todd English for several years at both Michela’s and Olives, Barbara traveled to Italy where she learned about the country’s cuisine firsthand from local women. She returned to Boston and became the executive chef at Galleria Italiana, bringing national acclaim to the tiny trattoria when she captured Food & Wine's “Ten Best New Chefs in America” award. In 1998, Barbara opened a restaurant of her own, No. 9 Park, in Boston’s Beacon Hill neighborhood. The restaurant immediately received rave reviews from publications around the country and was named one of the “Top 25 New Restaurants in America” by Bon Appétit and “Best New Restaurant” by Food & Wine. In the fall of 2008, Barbara launched two concepts in Boston’s Fort Point neighborhood: Drink, a bar dedicated to the craft of the cocktail, and Sportello (Italian for “counter service”), her modern interpretation of a diner. In the spring of 2010, Barbara and her team opened an eagerly anticipated third concept—Menton, a fine dining restaurant—in Boston’s Fort Point neighborhood. Menton has received numerous accolades since opening, including praise from both Bon Appétit and Esquire as one of the best new restaurants in 2010, a James Beard Foundation Award nomination for “Best New Restaurant,” and a four-star review from the Boston Globe. Menton is the only Relais & Châteaux property in Boston, and each year since 2012 it has been awarded AAA’s Five Diamond Award and Forbes Travel Guide’s Five-Star Award. Barbara is currently the only female in the United States to hold the distinguished title of Grand Chef Relais & Châteaux. In the summer of 2017, Barbara partnered with fellow historic Boston brand, Boston Harbor Cruises, to elevate food and beverage options on the Boston Harbor Islands with her new company Salt Water, Inc. In 2013, Barbara was inducted into the James Beard Foundation’s Who’s Who of Food and Beverage in America, a prestigious group of the most accomplished food and beverage professionals in the country, and she also received an honorary doctorate in public service from Northeastern University in recognition of her culinary and philanthropic contributions. In 2014, Barbara received her second James Beard Foundation Award and named “Outstanding Restaurateur.” She is the second woman ever to receive this honor. In 2017, she was named to the TIME 100, Time Magazine’s annual list of the world’s most influential people. Barbara's first cookbook, Stir: Mixing It Up in the Italian Tradition, was published by Houghton Mifflin Harcourt in Fall 2009. Stir was received enthusiastically by both the media and home cooks and received a prestigious Gourmand award for “Best Chef Cookbook” for the United States. 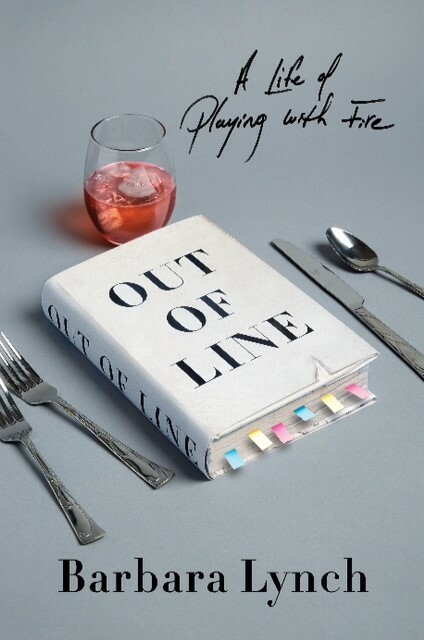 Barbara’s second book, her memoir, Out of Line: A Life of Playing with Fire, was published in April 2017. Barbara is a member of several notable organizations including Women Chefs & Restaurateurs; Les Maîtres Cuisiniers, the international association of Master Chefs; and the Ment’Or (formerly Bocuse d’Or USA) Culinary Council. Many believe Barbara’s food rivals the best of Italy, and now you can make it at home. A thoughtful collection of stories, happenings, recipes, and more.